I feel like I’m really getting a hang of that planning trip thing. 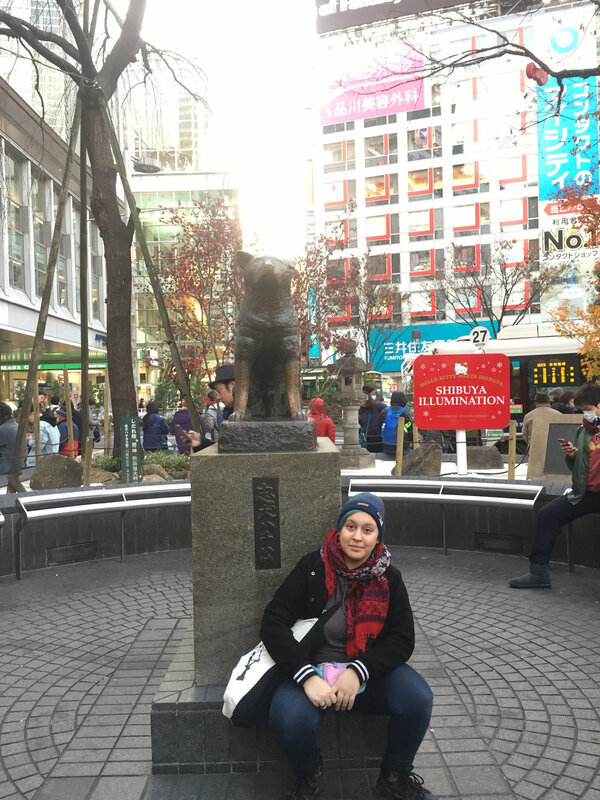 So I managed to organize our Tokyo trip! We arrived late on Thursday, just like in Kyoto, barely making it to the last train. It was interesting to listen to my American friends saying they don’t really use public transport in US. Well I was a late bloomer in the amazing world of public transportation myself but I got the hang of Tokyo train and subway lines pretty quickly. We spent the night in a lovely Ryokan in Ikebukuro. Ryokan is a traditional Japanese inn – one needs to take off their shoes before coming in, sleep on the mats on the floor and has a chance to use a traditional Japanese bath (that one we unfortunately didn’t manage to do!). We started Friday by going to the Pokemon Centre – we got kind of lost but found it eventually. It was really adorable, all of those cute plushies with different Pokemons. It’s interesting though – apart from the starters from the latest games, the most popular Pokemons are still those from the first generation. Now, I don’t know if they were the ones that were designed the best (before the brand went for really bizarre ideas like ICE CREAM POKEMON) or it’s just a nostalgia factor and the 80s and 90s kids still remain the most dedicated target audience to the brand. But! Brand is an important thing in Japan. Next to the Pokemon Centre there were several different stores – Rillakuma store, Disney Store and Sanrio Store (Sanrio is the company that produced, among others, Hello Kitty). Now, apart from the Pokemon and Disney store all of those are brands just for the sake of being brands. Those characters are not advertising anything or starring in movies (originally) – they were simply designed to look adorable and make people buy things with their likeness. And yet, even though they are only just a series of adorable images with nothing behind (no service, no story, no other associations) people keep buying them, and there are stores dedicated to them everywhere! 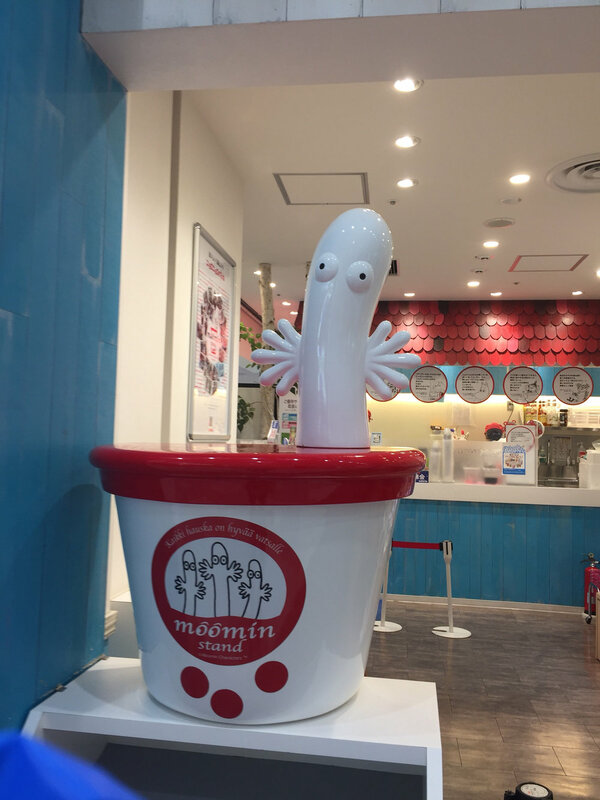 What’s interesting Japanese public can remain uninterested in the background even if it exists – there are lots and lots of products with Moomins available but basically no one I talked with read or even watched Moomins. But, they are a cute image to carry on ones bag, keys, t-shirt, and therefore they remain popular. Sorry, that discourse went on a bit longer than I intended it to. From the Pokemon Centre I took the others to the Coffee shop featured on the Buzzfeed Wort It series. I like Buzzfeed, I LOVE coffee and that particular one seemed really interesting. The place is called Coffee Elementary School. The owner used to be the elementary school teacher (hence the name; also customers refer to him as sensei which also brings and interesting atmosphere). 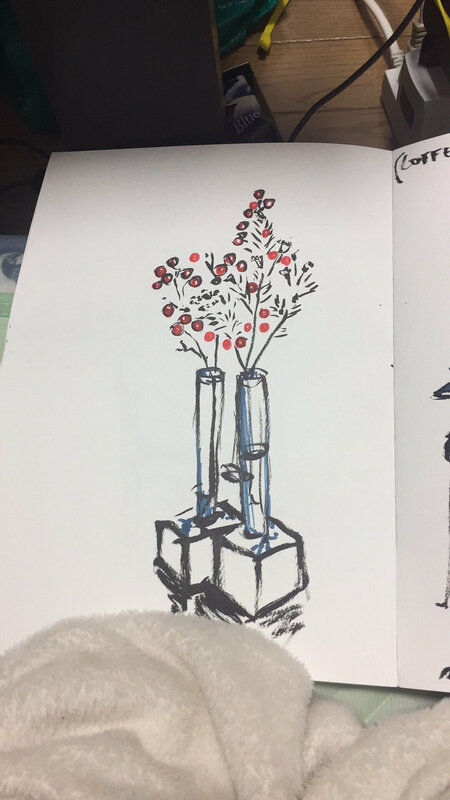 Menus are printed inside of vintage class registration books (unfortunately only the Japanese ones; English menu is just simply laminated), inside is very cozy and modern, and above there is a modern art gallery. We ordered coffee for around 6$ and it was the best coffee I have ever had. From there we walked back to the Shibuya station – took some required Hachiko and Crosswalk pictures and went up towards Harajuku and Shinjuku. We had a long walk and were looking around cool designer stores. Trying to get to the Ramen shop our teacher recommended to us we got to the Tokyo red light district – Kabukicho. Nothing really happened there, we just laughed at the huge number of Love Hotels, Host Clubs etc. The interesting thing happened after – we were chased by a cursing, drunk Japanese man. He didn’t reach us but it was kind of intimidating, and probably a very rare thing in Japan (being one of the most safe countries in the world, if not the safest) so that was an experience. Before we went back to the Ryokan we visited a cat cafe. I wish there were more of those back home and in the UK! I would go work there on my projects all the time If I could – 40 minutes costs around $12 but it was absolutely worth it, even if the cats were not really keen on playing with me. Lovely atmosphere, amazing experience. 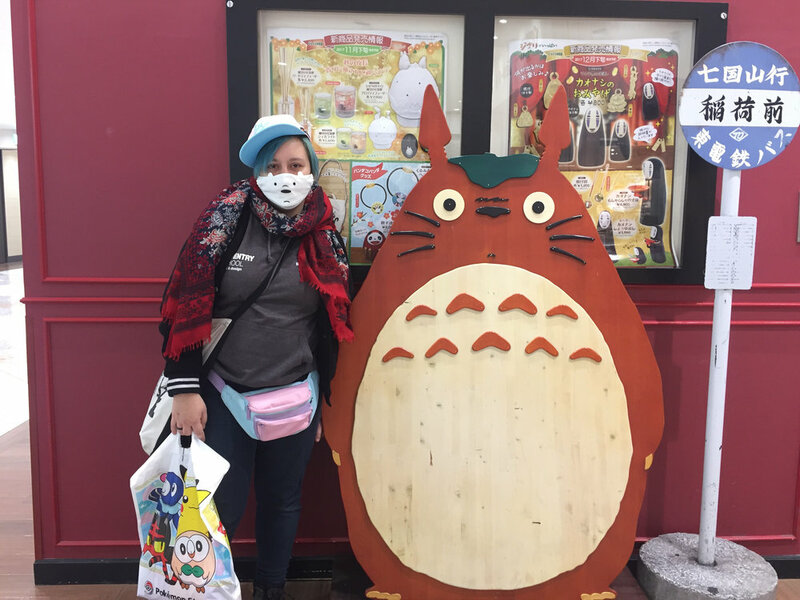 This post is really long as it is so I will continue with our Akihabara experience in the next post!